NFL cornerback who won Super Bowl titles in 2008 and 2012 as a member of the New York Giants. He was a two-time All-American selection at Louisiana State University. 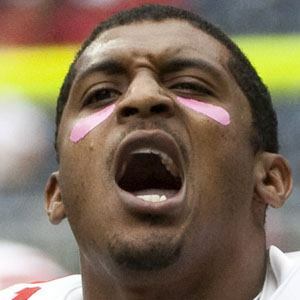 He had one of his best defensive seasons in 2011, when he recorded 6 interceptions. He has two sons, including his eldest child Corey Webster Jr. He was penalized by the NFL for an altercation with wide receiver Santana Moss in 2009.